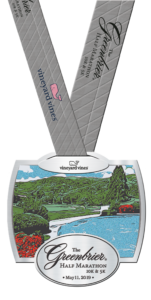 Registration for the 2019 The vineyard vines Greenbrier Half Marathon! Register below for the vineyard vines Greenbrier Half Marathon, 10K and 5K! 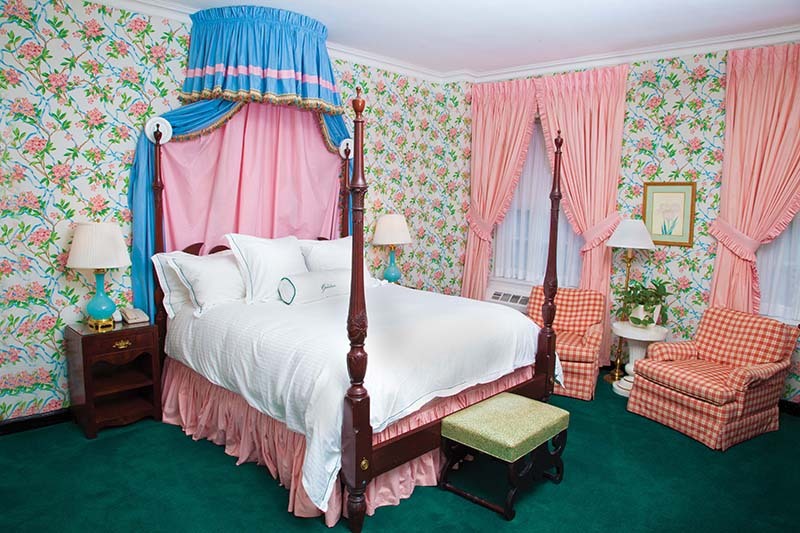 To book your room reservations, please call The Greenbrier Resort Directly: (844) 837-2466. After selling out its first two years, the vineyard vines Greenbrier Half Marathon, 10k and 5k, returns for its third event on Saturday, May 11, 2019! 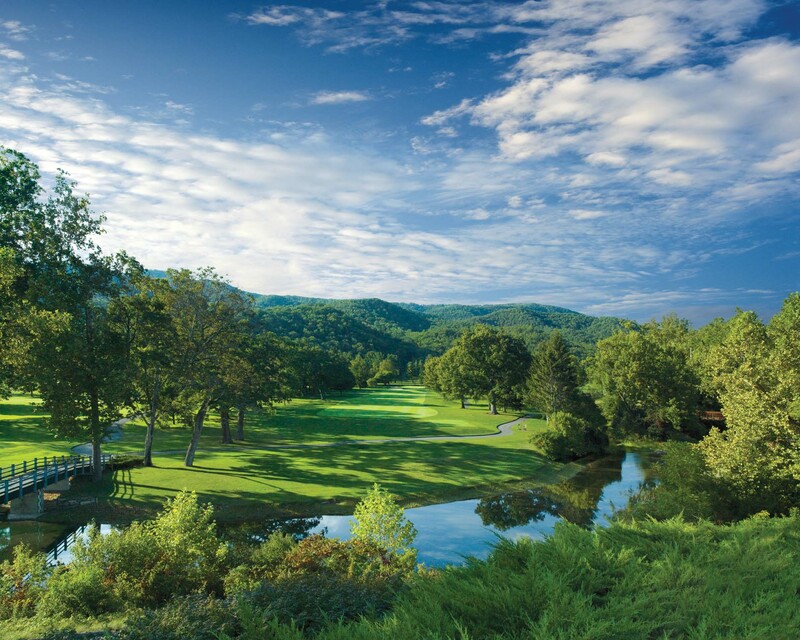 Runners will be treated to a course along some of the country’s best golf courses at the base of some of West Virginia’s most breathtaking mountain ranges. 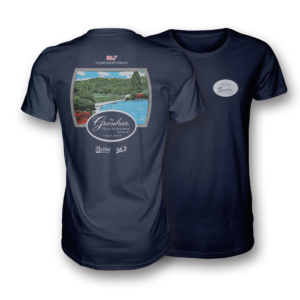 Run exclusively on the 11,000-acre grounds of the world-class Greenbrier Resort that has played host to 26 of our country’s 44 presidents and has long been a favorite destination of royalty, celebrities and business leaders. The Greenbrier is widely regarded as one of the finest luxury resorts around the world. Surrounded by the wondrous Allegheny Mountains, The Greenbrier offers exclusive services and amenities such as championship golf, fine dining, more than 55 activities, designer boutiques, a world-renowned mineral spa and a 103,000-square foot gaming and entertainment venue. Sign up, book your stay, and come experience an unforgettable luxury weekend race experience at America’s Resort! All three distances will start next to the Outdoor Pool on Springhouse Lane. The Half Marathon will start at 7:00am, the 10k will start at 7:10am, and the 5k will start at 7:15am. All runners must be finished by 11:00am. All wheelchairs will start 5 minutes prior to your distance. 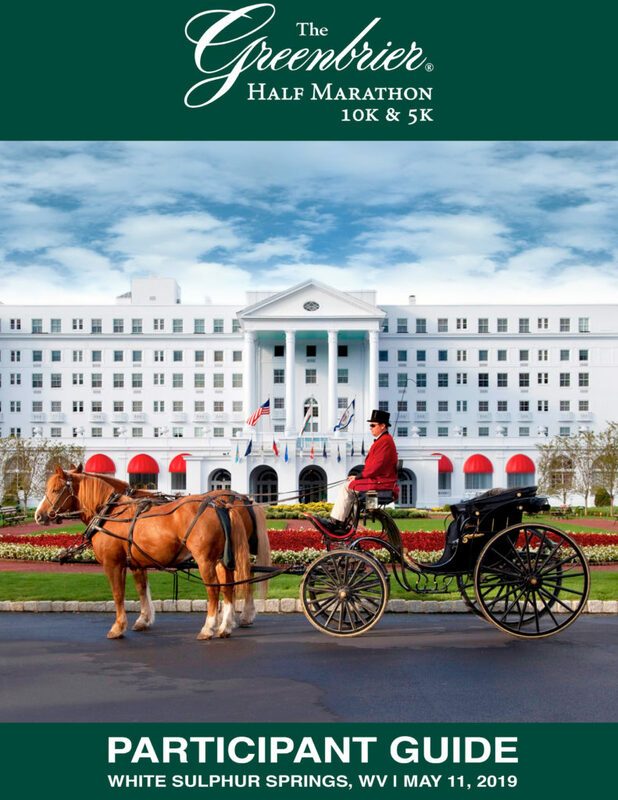 Pre-Race packet pick-up will be held Friday, May 10, 2019 from 2pm-7pm in the Garden Room in the Upper Lobby of The Greenbrier Resort (101 W Main St, White Sulphur Springs, WV 24986). Gear check is available for all runners near the start line beginning at 5:30am. Gear check items will remain stationary and can be picked up until 11:30am. Please use the vineyard vines runner bags provided at Packet Pick-up. You may also check your room key. Fuel up for your race with the Pre-Race Lighter Fare Start Up Breakfast. A pre-race breakfast will be provided from 4:45-6:15am to runners who have purchased a breakfast ticket. The pre-race breakfast will be held in the Crystal Room in the upper lobby of the Resort. You can purchase a Pre-Race Lighter Fare Start Up Breakfast here. Shuttles will be available to shuttle non-guest runners from the Train Lot to the North Entrance of the Resort, where runners will follow signs down Springhouse Lane to the start line. A shuttle will depart about every 5 – 10 minutes. Non-resort guests will park in the Train Lot, located off Route 60 (315 W Main St, White Sulphur Springs, WV 24986). From the Train Lot, participants and spectators will take a shuttle to the North Entrance of the Resort. Participants staying at the resort are encouraged to use either valet or self parking on resort property and can walk to the start line area. An updated estate map is coming soon! Runners will be treated to a newly designed course along some of the country’s best golf courses at the base of some of West Virginia’s most breathtaking mountain ranges. This race is run exclusively on the 11,000-acre grounds of the world-class Greenbrier Resort that has not only played host to 27 of our country’s presidents, but also has been a favorite destination of royalty, celebrities and business leaders. View the 2019 course map and course video below! Click here to see a course elevation map! Click to View the 2019 Course Video! The race will be held at The Greenbrier Resort in White Sulphur Springs, West Virginia. Can I change my race distance? Yes, you may change your race distance on our website here, until Friday, May 3rd at midnight. After that, you must change your race distance in person at packet pick-up or on race morning. Please note: If you do not change your race distance either online or in person with a Resort Races Collection staff member prior to the race start, you will be disqualified from the event. Refunds will not be issued for any reason. You may change your race distance, up until Friday, May 3 at midnight. After that, you must change your race distance in person at packet pick-up or on race morning. Please note: If you do not change your race distance either online or in person with a Resort Races Collection staff member prior to the race start, you will be disqualified from the event. Can I defer my race to next year? Yes. However, if you reserved a hotel through the resort we recommend checking with the resort to ensure you can get refunded for your room(s). To defer your race to Greenbrier 2020, click here. Please note that the deferral process will be a $30 non-refundable charge. Is there parking for non-guests and spectators? There is ample parking available for non-resort participants and spectators at the Train Lot, located off Route60. Enter 315 W Main St, White Sulphur Springs, WV 24986 into your GPS device and follow signs for runner parking. From the Train Lot, participants will take a shuttle to the North Entrance of the Resort. How do I become a pacer? How many participants are allowed in each event? The race is limited to the first 1,000 participants, regardless of distance. Will there be shirts for participants? Yes! All participants will receive a vineyard vines Participant Performance Tee. Stay tuned for the design! Will there be medals for participants? Yes, all finishers will receive a beautiful finisher medal! We will do all we can to make sure the vineyard vines Greenbrier Half Marathon, 10K and 5K are produced as planned, but runner safety is always our top priority. If we have to cancel the race because of weather or circumstances outside our control, refunds will not be issued. Will there be professional photographers and photos for purchase? Yes! Professional photographers will be on site for the race and will provide photos for purchase. Yes. All participants must complete their race distance by 11:00am. Awards will be given to male and female overall and age group winners based on chip time. Overall awards for the 5K will be presented at 8:30am, overall awards for 10K will be presented at 9:30am, and overall awards for the half marathon will be presented at 10:30am. All age group awards may be claimed at the Resort Races Collection Customer Service tent following each award presentation. Winners must be present to receive their prize; awards will not be mailed out. Age groups are as follows: 19 & under; 20-24; 25-29; 30-34; 35-39; 40-44; 45-49; 50-54; 55-59; 60-64; 65-69; 70-up. Packet pick-up will be conveniently at the times and locations below. Saturday, May 11 (Race Day): 5:30am – 6:30am outside the Golf Club near the start line. Can I pick up someone else’s packet? If you have a picture of their photo ID, yes you can. A picture on your phone works as well! Results and photos will be posted in real time here on our website! You can also view the results after you finish at the Results Table at the Champagne Brunch. It is unsafe to wear headphones while running. Event organizers will not restrict headphone use and leave it up to the athlete on his/ her ability to follow direction while wearing headphone devices. If you do choose to wear headphones please keep the volume level down so you are able to hear and follow the direction of course volunteers. We have a unique course where you MUST listen to volunteers. Can someone else run in my place? No, you are not allowed to transfer bib numbers. Can I register on race day? Yes, you will be able to register on race day AND at packet pick-up, as well as online up until one hour prior to the race – though you must pick up your bib in time to race! Please note if participant limits have been reached, then packet pick-up and race day registration will not be available. Are walkers allowed in the race? Yes, however, you must meet the requirements of the completing the race in four hours or less (any distance). Are baby joggers, strollers or pets allowed during the race? No. This is to ensure runner safety and comply with liability insurance policies. The Greenbrier Resort is nestled amongst the breathtaking Blue Ridge Mountains of West Virginia. Located amid the breathtaking mountains of West Virginia, The Greenbrier is a National Historic Landmark and world-class resort that has been welcoming guests from around the world since 1778. The natural mineral springs that drew our first guests over 235 years ago continue to lure visitors to our 11,000 acre luxury retreat today. With a guest list that includes 26 of our country’s 44 Presidents, America’s Resort has long been a favorite destination of royalty, celebrities and business leaders. Today, The Greenbrier invites a new generation to come out and play. Enjoy relaxing pastimes, start treasured traditions, or set out on an amazing adventure together. You’ll find endless vacation possibilities at The Greenbrier. Combining graciousness of the past with exceptional comforts of today, a new era of elegance awaits you at The Greenbrier. This renowned property offers 710 rooms, including 33 suites and 96 guest and estate homes. 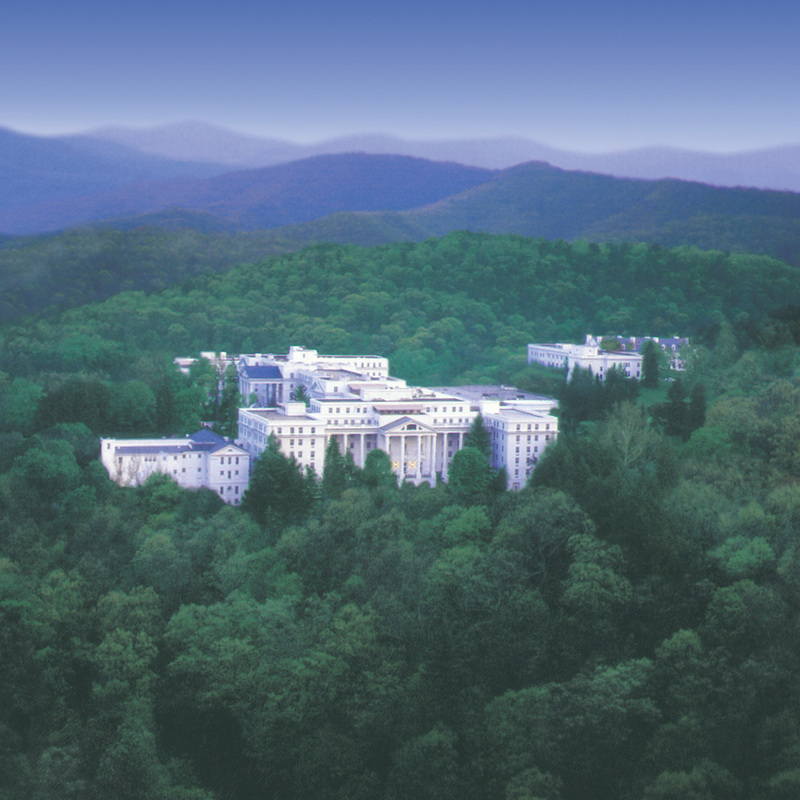 The Greenbrier has 10 lobbies, 40+ meeting rooms and a complete conference center facility. The Greenbrier is widely regarded as one of the finest luxury resorts around the world. Surrounded by the wondrous Allegheny Mountains, The Greenbrier offers exclusive services and amenities such as championship golf, fine dining, more than 55 activities, designer boutiques, our world-renowned mineral spa and a 103,000 square foot gaming and entertainment venue. Explore your personal 11,000 acre playground and discover an unparalleled selection of luxury leisure pursuits and outdoor adventures designed to satisfy and stimulate your widest range of interests. Couples become engaged and are married at The Greenbrier, and before they know it, their daughter or son is marrying their sweetheart in the place where it all began. Each year families visit The Greenbrier and begin a tradition that carries on for generations. Companies hold their annual meetings here and return year after year to conduct meaningful business alongside well-earned relaxation. Tradition is important in our lives in so many ways, and at The Greenbrier you can rest assured that the tradition lives on. Where experiences are timeless and memories last forever, The Greenbrier will be the leader of luxury resorts around the world. The rates listed below are part of a discounted room block for race participants and are available on a first come, first served basis. Please call The Greenbrier Resort for current rates and availability. Please note, room rates are at the discretion of The Greenbrier and vary based on availability. ++ 6% sales tax / 3% occupancy tax & HPF. Rates and availability are subject to change. Call 1-185-405-4219 for the most updated information. Third or Fourth Party Occupant: Above rates based on single/double occupancy. An additional $50.00 per night will apply to each third and fourth adult occupant in the room. Deposit Policy: The Greenbrier deposit requirement is equal to one night’s room and tax charges. When requesting reservations, please note arrival and departure dates carefully. Late arrival or early departure will cause forfeiture of deposit, unless cancellation or changes are made fourteen (14) days in advance. All major credit cards are accepted to secure your reservation. 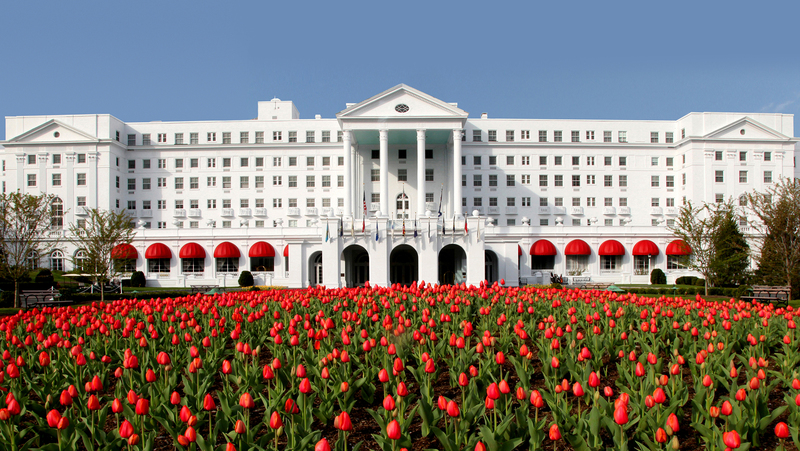 View a list of local hotels close to The Greenbrier Resort here! The Casino is open to all overnight resort guests. With over 55 activities on The Greenbrier’s 11,000 acre playground, there is something for everyone to enjoy! Golf, tennis, off-road driving, falconry and horseback riding just barely scratch the surface of outdoor activities. Indoor activities are equally plentiful and range from enjoying a Bunker Tour to relaxing in our world-renowned mineral spa and gambling in our world-class Casino Club. The Greenbrier offers a truly memorable experience with 55+ indoor and outdoor recreational activities. View our entire collection on one convenient page. View the resort’s daily calendar featuring hour-by-hour scheduling as well as upcoming special events and activities to help you plan your next stay at America’s Resort. The declassified Bunker at The Greenbrier is a must-see experience. Tours are available daily by reservation to overnight guests as well as the general public. Book your tour here. One of the resort’s most popular indoor recreational activities, the lanes have built-in kiddie bumpers and lane-by-lane multi-colored rope lights which add to the flexibility and fun. Book your game time here. Described as Monte Carlo meets Gone with the Wind, the Casino Club at The Greenbrier combines high-roller thrills and high-class style to create an unforgettable Greenbrier gaming experience. Our new 103,000 square-foot venue is filled with world-class gaming at its finest. Enjoy live entertainment, international cuisine and boutique shopping in an elegant setting that revels in the warmth and charm of southern hospitality. Excellence is part of our history. Gaming is part of our future. We hope that your experience at The Greenbrier brings you back again and again! As a member of the Players Club, you’ll be the first to receive event news, specials offers and casino advantages from the Casino Club at The Greenbrier. Enjoy modern Asian cuisine at In-Fusion, signature cocktails and dishes at Twelve Oaks, and freshly made craft cocktails at Greenbrier Royale! Learn more about our hours of operation, dress code and user restrictions. In addition, complete your credit application and request win/loss statements. The Greenbrier enjoys the pleasure of hosting guests from all over the world. Throughout our 235-year history, many traditions have been established to make the visits of all of our guests extraordinary. The Greenbrier’s dress codes distinguish the resort and are an important complement to the standards our guests expect and deserve. Please accept our appreciation for your adherence to and support of our dress codes. We are very proud of our impeccable standards and are thankful that you are helping us to maintain these traditions that have been such an important part of The Greenbrier’s heritage for generations of guests. Review the resort’s dress code guidelines and suggested packing list. The Greenbrier’s excellence is perhaps best exemplified by the exceptional dining experiences offered in our six full time restaurants/cafés, three seasonal restaurants/cafés, five bars/lounges, and 24 hour room service. Regardless of venue or menu, every meal at The Greenbrier is truly exquisite. 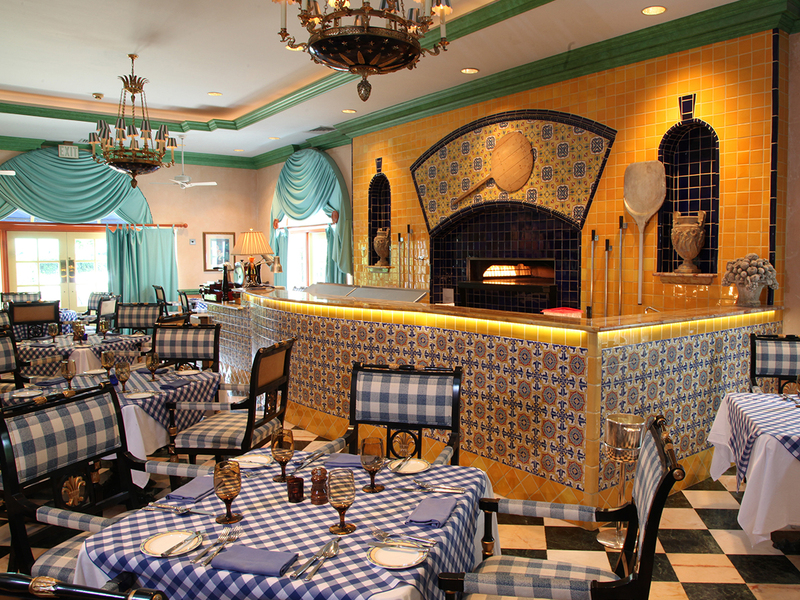 The Dining Collection at The Greenbrier is as diverse as it is delicious. Nineteen restaurants and lounges offer world-class cuisine, served in unforgettable settings. Join us at The Greenbrier for a variety of special food and drink events ranging from happy hours and wine tastings to cooking demonstrations and kitchen tours. The Greenbrier’s culinary team carefully designs ingredient-driven menus using local produce, and wine pairings are personally selected by our sommelier team. Let us help you celebrate birthdays, anniversaries, proposals and other special occasions with a few extra touches! Please remember that everything can also be customized! Since 1778, people have traveled to The Greenbrier to “take the waters” and bathe in the white sulphur spring water. Today, The Greenbrier’s world-renowned mineral spa offers a variety of services designed to bring you relaxation and comfort. Luxuriate in a whirlpool bath or soak up the healing properties of the native sulphur waters. Invigorate every pore in a steam room or sauna. Or, simply indulge in all the spa treatments you so richly deserve. 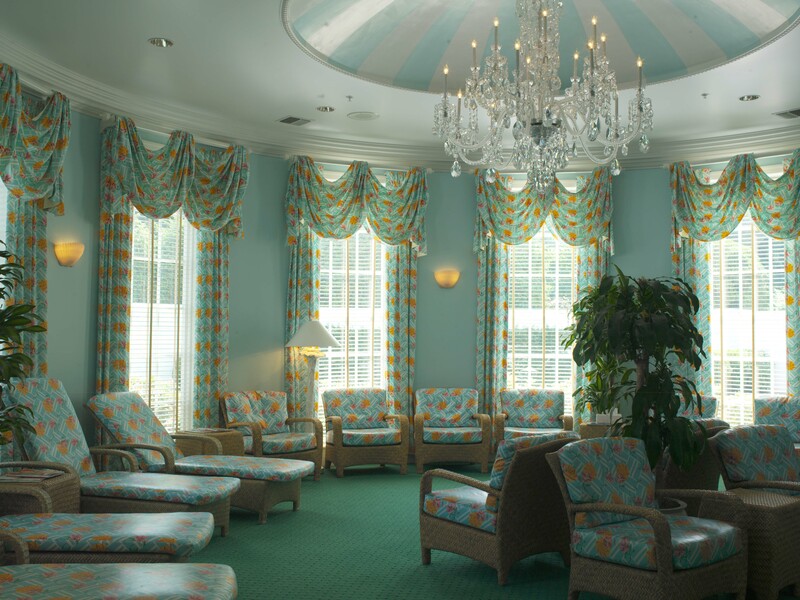 The Greenbrier Spa has long been one of the resort’s most popular amenities. We strongly recommend that Spa appointments be arranged prior to your arrival. 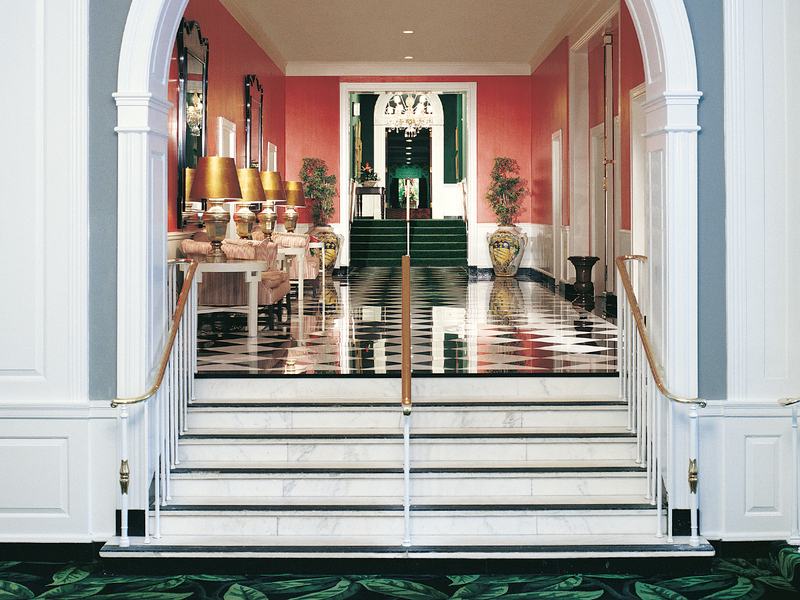 Elite guests first visited The Greenbrier to “take the waters” over 230 years ago. Today, we invite a new generation to enjoy the restorative properties at America’s Resort. Board certified in cosmetic and plastic surgery, Dr. Kluska and his team provide a variety of cosmetic surgery and MedSpa services to enhance your natural beauty. While at The Greenbrier, learn how to slow down and be present with gentle relaxation and connection exercises you can bring home and incorporate any time, any place. The Greenbrier has hosted golf royalty including Hogan, Snead, Palmer, Player, Nicklaus, Trevino, Faldo, Watson, Ballesteros, Woods, Mickelson and many others! Come follow in their footsteps as you play our five championship courses for yourself! The Old White TPC, home to The Greenbrier Classic PGA TOUR event, is the oldest course currently used for a PGA TOUR event as well as the only C. B. Macdonald course available to the public! Featuring five golf courses including The Old White TPC, The Greenbrier, The Meadows, Oakhurst Links and The Snead Course at The Greenbrier Sporting Club. Enjoy our special golf packages released throughout the year as well as request information for your group of 8 or more golfers. Subscribe to our e-newsletter for resort updates. In his role at The Greenbrier, six-time major winner Lee Trevino is eager to share his insights into the top echelon of professional golf on both the teaching and playing levels. Experience golf instruction at its finest with our team of instructors offering private playing lessons, computerized swing analysis, daily group clinics and more! The vineyard vines Greenbrier Half Marathon, 10k, and 5k is a luxury destination race like no other! From your arrival to departure, you’ll enjoy an incredible race destination weekend at one of the most luxurious resorts in the country. Access to activities and amenities offered by the resort, including golf, the spa, dining, and more! Enjoy a pre-race day dinner on Friday, May 10th from 5:00pm-7:30pm in the Chesapeake Ballroom at The Greenbrier Resort! If you would like to join us at the Friday Night Pasta Party please call the toll free Reservation number (855)-453-4858 to make your reservation. You will just need to follow the prompting for dining/activity reservations, and then reference the “Half Marathon Buffet” on Friday, May 10th when making your dining reservation. You can view the menu for the Friday Night Pasta dinner here. You can view the Friday Night Pasta dinner menu, here. Fuel up for your race with the Pre-Race Lighter Fare Start Up Breakfast. A pre-race breakfast will be provided from 4:45am-6:15am to runners who have purchased a breakfast ticket. 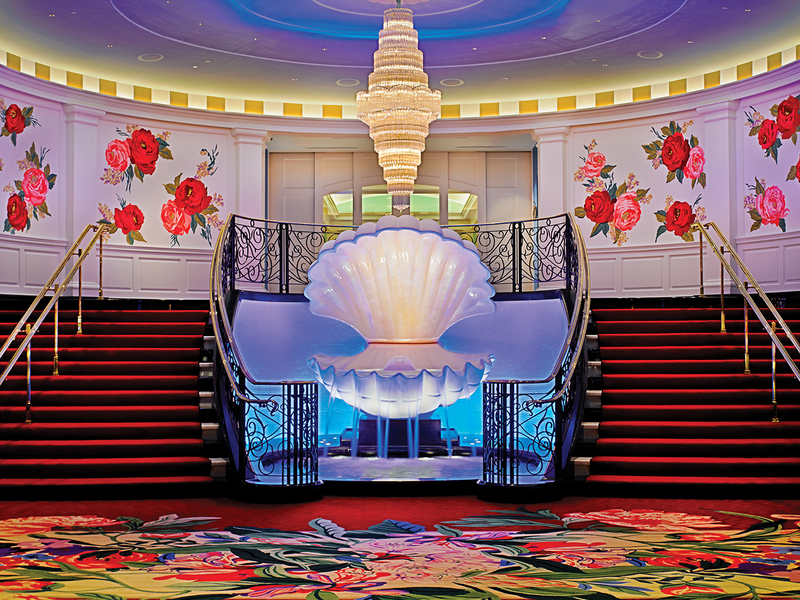 The pre-race breakfast will be held in the Chesapeake Bay room in the upper lobby of the Resort. You can purchase a Pre-Race Lighter Fare Start Up Breakfast here. Post-race champagne brunch at the vineyard vines Greenbrier Half Marathon. 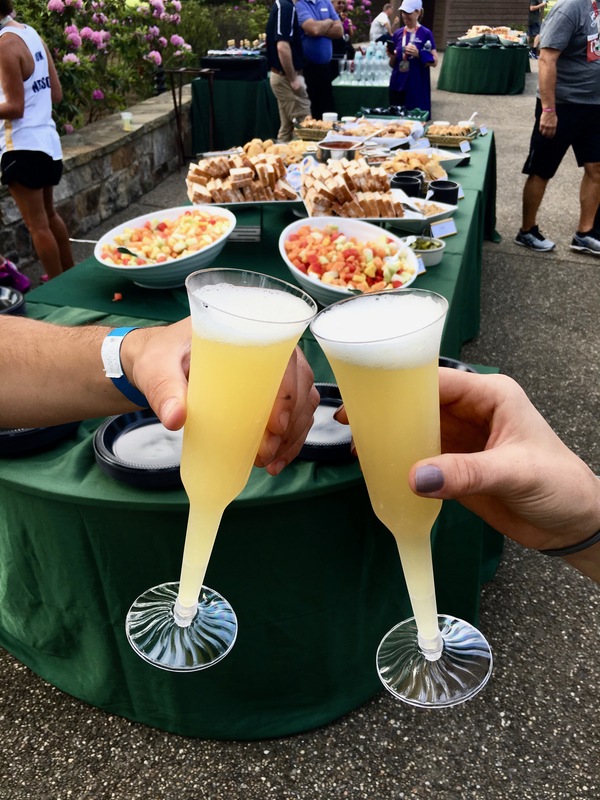 The vineyard vines Champagne Brunch for The vineyard vines Greenbrier Half Marathon will be unlike any post-race party you’ve seen! After your race, you can relax and enjoy the scenic views while celebrating with a delicious vineyard vines Champagne Brunch prepared by The Greenbrier’s exquisite culinary team, a live band and more! One ticket to the post-race party and vineyard vines Champagne Brunch is included in each registration, and additional tickets are available for purchase, here, for any spectators wishing to join the fun. The post-race party will be held from 7:30am – 11:30am on Greenbrier’s Outdoor Pool Grounds. Below is a representative menu of what will be served at the post-race brunch, along with champagne and beer! The Outdoor Pool will be closed to Hotel Guests on Saturday, May 11th, only marathon runners will be allowed access until 5pm. Complimentary Dessert with Purchase of a Dinner Entrée in All Restaurants. 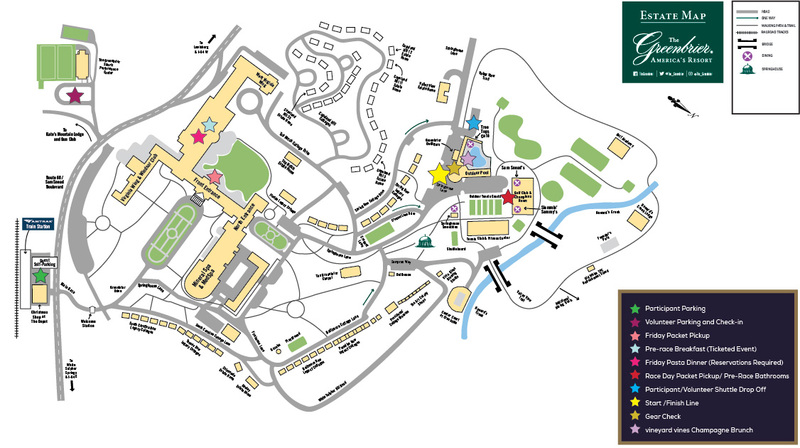 Click the image below to view a larger version of the map! The Greenbrier is located in White Sulphur Springs, West Virginia and conveniently situated off Interstate 64 just west of the Virginia/West Virginia border and just east of Lewisburg, WV (dubbed “Coolest Small Town in America” by Budget Travel Magazine, 2011). The White Sulphur Springs train station (WSS) is conveniently located next to The Greenbrier’s Christmas Shop at The Depot! Amtrak offers regular train service to The Greenbrier from major cities, including Washington, D.C., New York City and Chicago. By car, it is a scenic drive from both Washington, D.C. or Charleston, WV. Exit #181 White Sulphur Springs. At end of exit ramp take a right and proceed for approximately 1.5 miles. The Main Entrance will be on the right. Exit #175 White Sulphur Springs. At the end of the ramp take a left; go to the stop sign, turn right and proceed approximately 3.5 miles. The Main Entrance will be on the left. Greenbrier Valley Airport (LWB), served by ViaAir, is located only 15 minutes away from The Greenbrier. ViaAir offers daily nonstop flights to and from Charlotte, NC (CLT). To check flight availability and rates, please visit www.flyviaair.com. Other airports convenient to The Greenbrier include Beckley, WV (BKW), Charleston, WV (CRW), and Roanoke, VA (ROA), Virginia, with service provided by major carriers. Executive jets, chartered aircraft and all other general aviation traffic arrivals also choose the Greenbrier Valley Airport (LWB), for its 7,004-foot runway and amenities. The airport is open 24 hours a day throughout the year and offers Air Traffic Control Tower, AWOS, and ILS, VOR and GPS approaches. Services provided include: lav cart, short-term hanger parking, aircraft detailing, GPU, de-icing, baggage handling and forklift. The terminal is state of the art, spacious with WiFi and full pilot services. Private air service to The Greenbrier is available and can be arranged by contacting Private Jet Services Group (PJS). PJS serves discerning corporate clients and luxury leisure travelers through the use of VIP and coach configured airliners. By engaging this aircraft for meetings, top-tier incentive programs, live entertainment touring or customer appreciation events, PJS’s clients receive a once-in-a-lifetime experience. Charter Service on Southwest Airlines® offers air charter service to any domestic location that can accommodate a Boeing 737 commercial operation, including Greenbrier Valley Airport (LWB). With their extensive fleet of Boeing 737 aircraft, flights can be scheduled according to your travel needs. Whether your company is gathering employees for a meeting, hosting a special event, or rewarding employees for top performance, Southwest Charters can transport you to enjoy everything The Greenbrier resort has to offer. Rental cars are available through major rental car agencies at area airports. Shuttles are available from areas airports to The Greenbrier for a fee. Please call The Greenbrier Transportation Department at 304-536-1110 ext. 7259 for rates and reservations. Please let us know how we may assist you, and our team will respond to your inquiry as soon as possible. To have your questions answered sooner check out our FAQ page under "Race Details" on the homepage. We look forward to serving you! © 2019 Resort Races Collection, a division of Capstone Event Group, LLC. All rights reserved.